Learn from my job search mistakes which I’ve turned into five essential lessons for job-seekers. These are my top five tips for finding a job or an internship and saving yourself tons of time, efforts and disappointment. 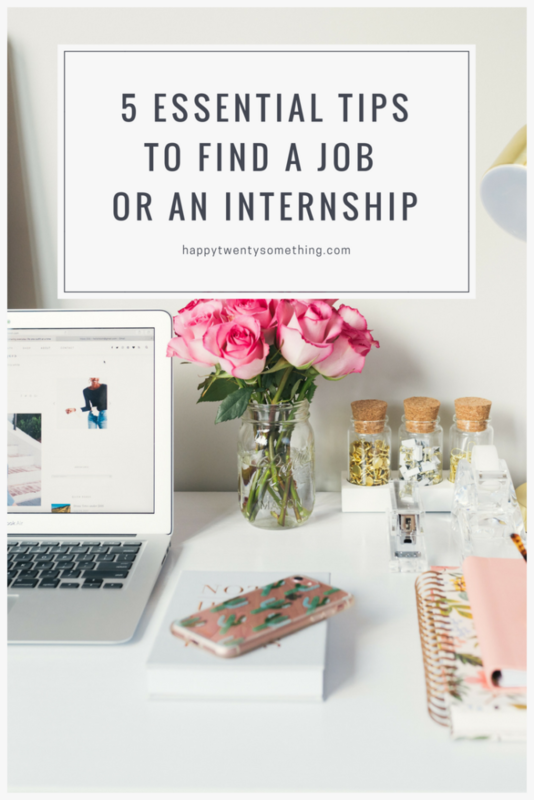 If you’re in your early 20s, there’s a good chance that you’ll be facing the ultimate challenge: finding an internship or landing your first job. I’ve spent the previous couple of months trying to figure out the magical recipe for success. Guess what! Turns out, there’s no one straightforward way to succeed in your job-hunt but thankfully, there are some must-have ingredients you should definitely consider. Here’s what I have learned from my job search failure, summarized in five actionable tips for finding a job or an internship. Follow your heart and play on your strengths. That’s the most important thing to learn. I’ve always felt naturally attracted to the dynamics of the fashion industry. That is why I focused on finding an internship position which suits me within the fashion retail. Figure out what you do best. What do you get most credits for? If your professors or teammates introduced you to your potential employer, what would they say? What do you feel most comfortable doing? 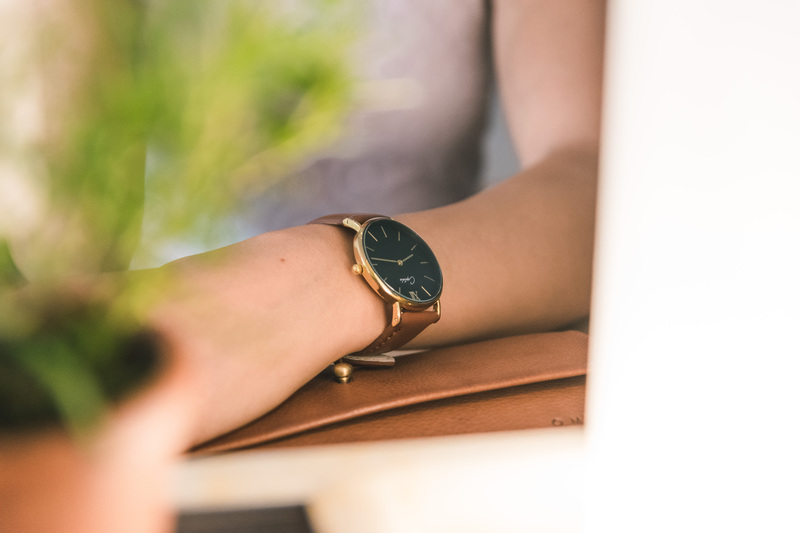 I found that my strengths are my diversified writing skills (like, it is so easy for me to adjust my tone to meet the brand’s voice—which proved very useful in the context of my internship), deep interest and understanding of various social media channels and highly-developed attention to details. Once I knew what I want and what I can give in return, talking with companies which I had genuine interest in became much easier and more relevant. Before you even consider applying for the internship position, do your research. I advise strongly against going around and sending applications to ALL job opportunities you get your eyes on. My personal experience shows that you need to choose wisely. Applying for a couple of job positions with a beautifully refined resume and a personalized motivation letter can save you tons of time, effort and disappointment. Instead of sending out hundreds of applications, make sure to connect with the companies you truly want to work with. Get to know their culture, perhaps even be brave and get in touch with someone from within the company. A great and relevant conversation can give you useful insights and can be your foot in the door. Starting a dialogue also shows proactivity and a genuine interest in getting the job. I’m the kind of person who falls in love with the work they’ve done until someone points out all the flaws I’ve chosen to ignore. (I consider it an area where there’s certainly room for improvement). That said, it was difficult for me to accept that my resume template wasn’t the best and needed to be significantly improved. Once I started noticing its downfalls though, I became unstoppable – read dozens of articles how to make your resume and cover letter stand out, went through hundreds of examples. Here’s the essence of refining your resume summed up: choose a clear yet inspiring template, include your best skills, and keep it short and relevant. Relevance is a key – I cannot emphasize this enough – and was probably my main struggle. If you, too, are struggling with keeping your resume relevant, that’s what you should do. Take a piece of paper and write down all of the experiences you think could be significant or showcase your abilities and values. Then try to connect them with the requirements included in the job description. For instance, my current job position required an “ambition and fashion-minded intern who is capable of working alone and creating great social media content”. This translated into “Marketing and E-commerce assistant for a premium Bulgarian brand, founded my own e-commerce businesses, exploring the depths of being a social media influencer and had a successful social media internship”. If you can’t see fit, just cross it off your resume. You can always swipe any other experience delicately during the interview—first make sure to get there! And you probably will, if you follow these effective tips for finding a job. I know, it is a pain and takes so much time. The necessity to customize your application to the specific job corresponds well to my first point. Know what companies and functions you are going to apply to. If you want to apply for hundreds of companies, you’re probably a) going to need years to send out personalized applications b) (more likely) are going to submit the very same or slightly adjusted cover letter to each. My personal experience taught me: neither works well. I have a confession to make (hope none of my professors will never ever read those lines). I used to apply for internships with one standardized (and three-page long) cover letter. I’d only change a couple of sentences to add the “personal touch”. No wonder why I only heard back from a handful of companies. 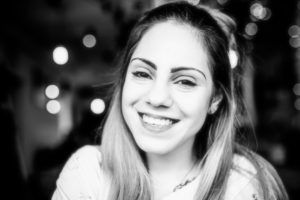 Once I began to put in time and thought into writing a relevant and passionate motivation why I wanted to work for this specific company, this specific job and why they would want me… well, at least the hiring managers started to respond. I guess, following the “300 words or less” policy also helped a bit. That is the main takeaway: choose a handful of companies, do your research and write a relevant motivation letter, personalized for the job. Once again, relevance matters A LOT. Keep it short – 300 words or less, because no one will ever spend ages reading your novels. Honestly, I used to be terrible at interviews. I’d get all nervous, muttering under my breath and really, really—I wouldn’t even hire myself. What helped me A LOT was watching Linda Raynier’s advice on how to perform better at job interviews. I strongly recommend you take a look at her tips for finding a job if you are struggling. The main points include: prepare in advance; research the company and possibly your interviewer; dress up properly; be confident and remember—if you don’t get the job, this is fine. Putting too much pressure will only make it more difficult to succeed. Just go in there and do your best, whatever the outcome. So, here you have it—my internship search experience summarized in five actionable tips for finding a job in your 20s. 5) Be prepared for your job interview and go get them with CONFIDENCE! The graduation internship I landed applying those lessons to practice is soon coming to an end. That means—I’ll be job hunting again. 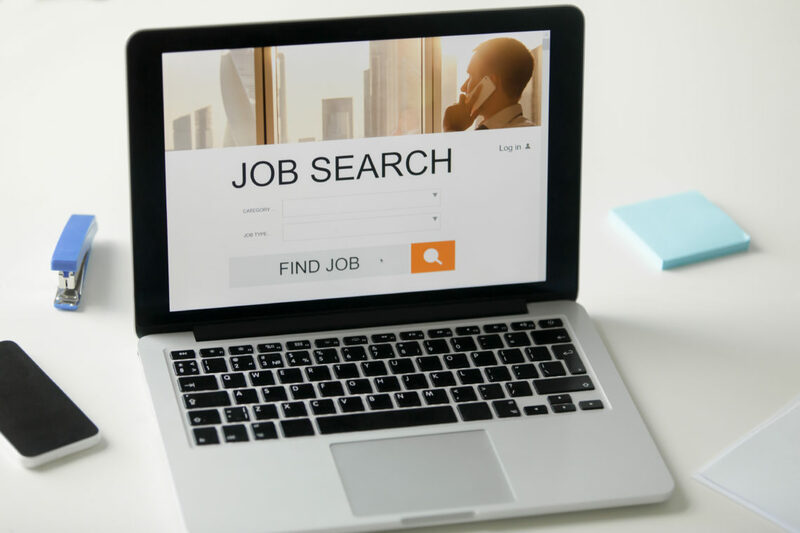 Knowing what I have learned from my previous search failures will definitely help spend less time searching and more time applying for the jobs I can actually be a good fit for. And I’m so excited to step into the next chapter of my life. Are you? Did you find those tips useful? These are such great tips that I will definitely be putting to use in my next job search! Researching companies before applying is so important!!! It can help you land the job + give you more insight into whether or not it’ll be a good fit. I use Glassdoor and LinkedIn for some company recon prior to applying. Thanks for the great tips!! !